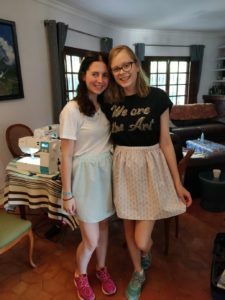 Making a skirt for a beginner sewist can be daunting, but not with this easy and versatile design from Megan Nielsen, a leading indie pattern designer. Our skirt can be done in any length, and our students enjoy personalising it with slits or pockets. Try it in short, 3/4 or full length, to have one for each occasion. Worry about the fit? Don't! This skirt has elasticated waistband, which is easy to assemble and provides a perfect fit, no matter what body shape you are. 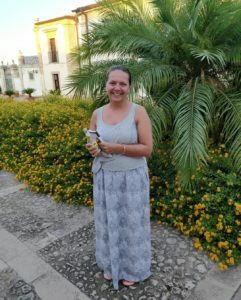 Check out the pictures from our students, and how each of the skirts is unique. Making a waistband using elastic - This pattern will teach you most of the basic sewing techniques, that you will need to make your next project. 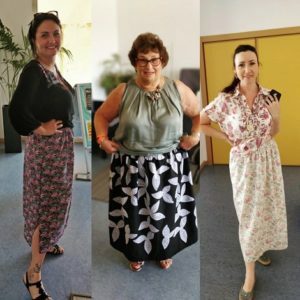 Making a waistband and inserting the elastic will open a new set of potential projects for you from making PJ or comfy summer trousers without difficult tailoring techniques. Sewing machines, all accessories and paper pattern are provided in class. In order to complete this project you will need 1.5 m (fabric width of 150 cm = 60 in. or wider) non-stretch material (e.g. cotton types fabric, regular cotton lawn, medium linen, light cotton denim), matching thread (polyester), 1.2m of wide elastic (min 1 inch width) . This pattern is not suitable for knit fabrics, stretch jersey fabrics or very heavy fabric like leather. Project fabric packs containing all necessary materials will be available to purchase at the beginning of the class for €6 to €15.